Some Merrill executives believe collateral demands by JPMorgan Chase pushed Merrill into the arms of Bank of America. 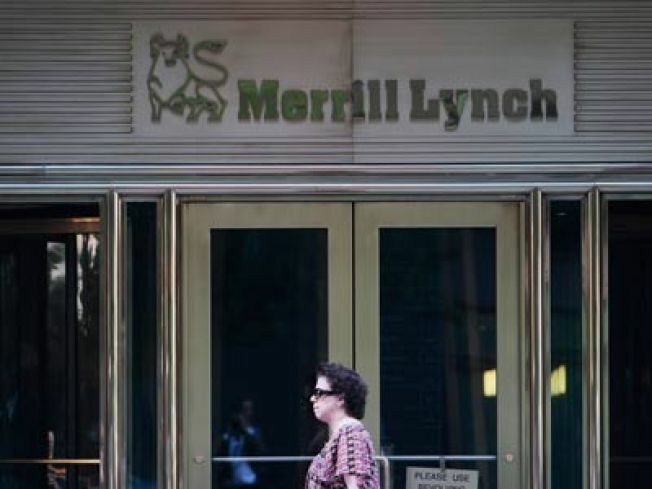 New York Attorney General Andrew Cuomo accused Merrill Lynch & Co. executives of corporate irresponsibility by secretly and prematurely awarding $3.6 billion in bonuses as taxpayers were bailing out the industry. Cuomo made the claims in a letter sent Wednesday to U.S. House Financial Services Chairman Barney Frank. “In a surprising fit of corporate irresponsibility, it appears that, instead of disclosing their bonus plans in a transparent way as requested by my office, Merrill Lynch secretly moved up the planned date to allocate bonuses and then richly rewarded their failed executives,” Cuomo stated. Cuomo said in the letter. Bank of America spokesman Scott Silvestri didn't immediately comment. Last month, as reports of the Merrill bonuses first circulated, Bank of America noted that the bonus payments were made when Merrill was still an independent company. Cuomo said four executives alone received bonuses totaling $121 million.